Home BuzzIn RailYatri Refer & Earn Program for Vendors: Because we care for you! Today, we are solving the food problems for 3,500 train travelers every month. We have achieved a successful delivery rate of 85%. We are presently one of the foremost food on train services in the nation. And we could not have achieved such feats without your help and support. We know the extra efforts you have put in to make our vision come true! We get feedback every day, stating how our food partners traversed extra miles to help RailYatri users in need! We recognize the efforts of each and every partner restaurant. You are the fuel that powers our meals on train service. So, we want to say a big THANK YOU! But merely praising you would not be sufficient. So, we have come up with a special Refer & Earn program only for you. What is the Refer & Earn program all about? 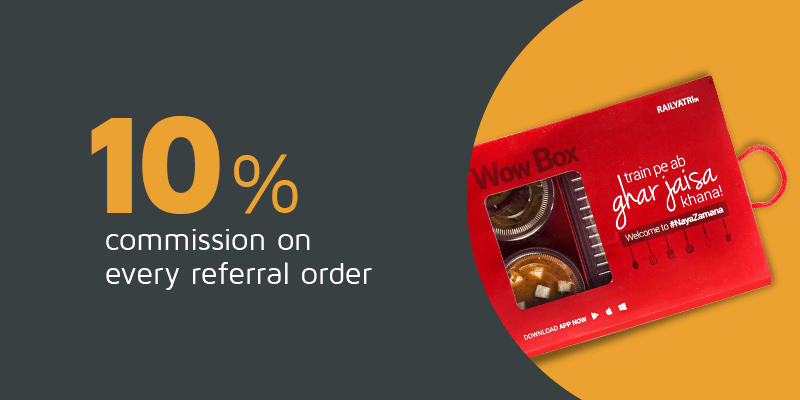 This new referral program gives you a chance to enhance your monthly earnings. How? Well, there would be many instances when you get a call from your loyal/existing users asking for food delivery at a station where you are not present. You have to let-go of such business opportunities, because you do not have a nation-wide infrastructure. Under our Refer & Earn program you will not have to turn down the customers ever again. 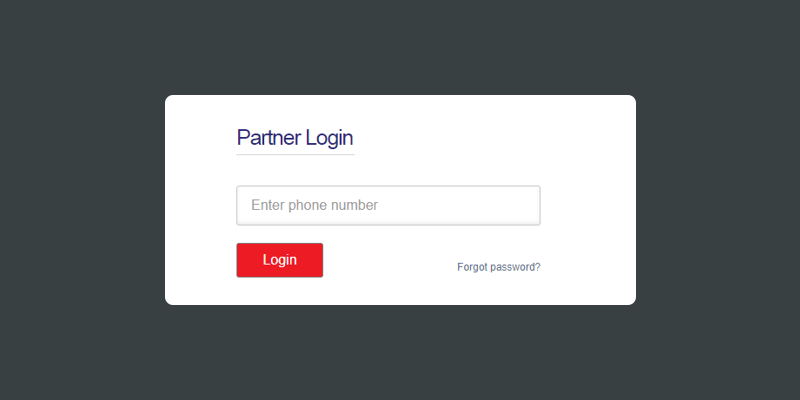 Yes, you can simply log-in to our Referral Dashboard (which you can access upon becoming a part of the program) and place the order on your customers’ behalf. We will take it forward from there, get in touch with the customer and deliver the food. So, in reality you can help a customer place food order at Coimbatore even when your restaurant is located in Lucknow! Earn for your help: Yes, you can make a handsome earning by simply diverting orders to us, up to 10% of the total bill value. Some of our food partners are already referring hundreds of food orders every day and earning a handsome amount at the end of each month. Become our first preference: RailYatri would care for you, if you contribute to this referral program. 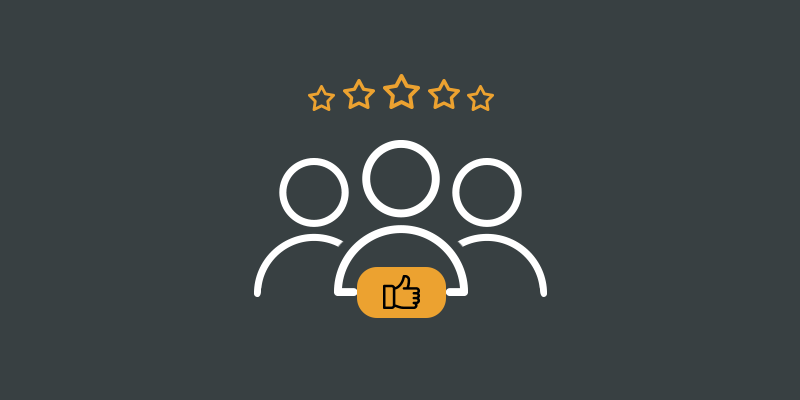 When you start referring customers, your rankings go up. As a result, if there are two RY food partners at a certain location (one of them being you), you would be given preference over the other. And that means you would have higher number of orders at the end of each month. Goodwill creation: When you help a customer in need, the person always has a favorable impression. And that helps you gain repeat sales. Goodwill matters a lot in the food business. And we are giving you a chance to create just that. Chance to keep customers happy: Each and every restaurant partner, listed at RailYatri, has been verified for food quality. This means, the customer who came to you for help gets best food delivered. And this in turn enhances your reputation. Form a Pan-India Network: Today, RailYatri has the capability of delivering food across 160 popular locations. And that means your business scope is much larger than the other local competitors. The terms and policies of the Refer & Earn program are very simple. You can contact our in-house team of food specialists and inform them about your willingness to participate in this program. They will create a log in for you in our specially created Dashboard for this program. 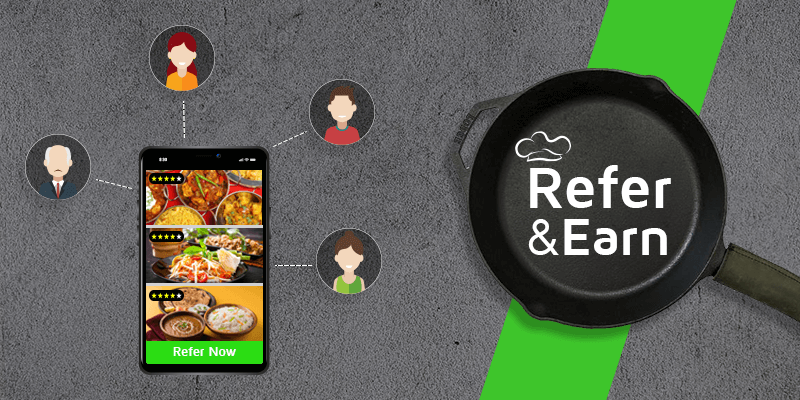 You can simply log in, select a location and order food on your customers’ behalf. More orders you place, more earnings you can have at the end of the month. And all that extra cash flows in, just by helping someone get delicious and healthy food! Isn’t it a hard-to-put-down proposition? So, what are you waiting for contact us today! Previous articleRailYatri Loyalty Points: Indulge in some travel shopping! Next articleRailYatri Booking Rate: Information that keeps you Lucky!